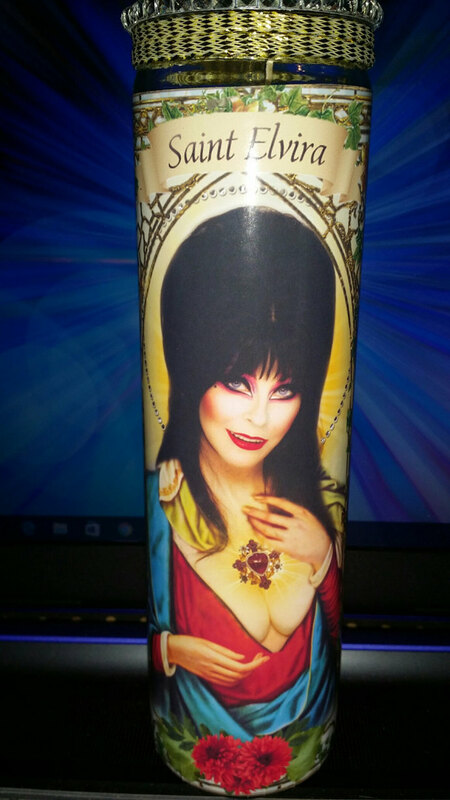 Who wouldn't want an Elvira celebrity saint candle? 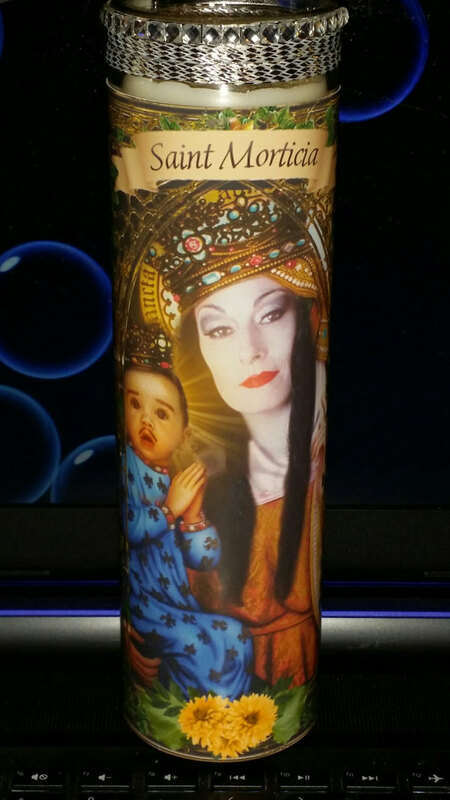 8" Celebrity Prayer Saint Candle in church window frame. 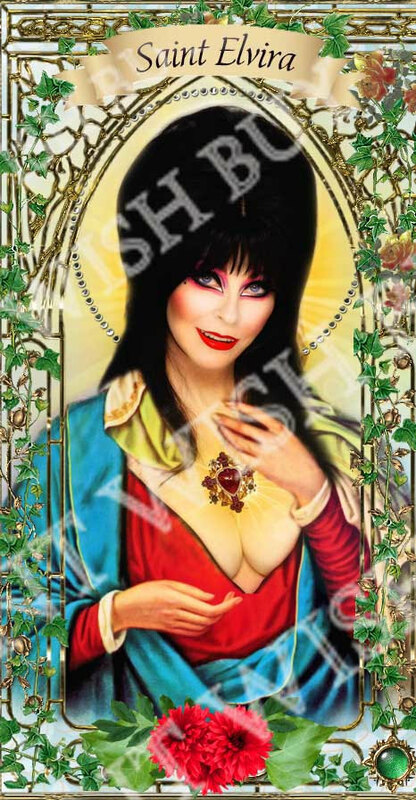 You can choose to have bling or no bling --- Elvira is featured with bling for an example. 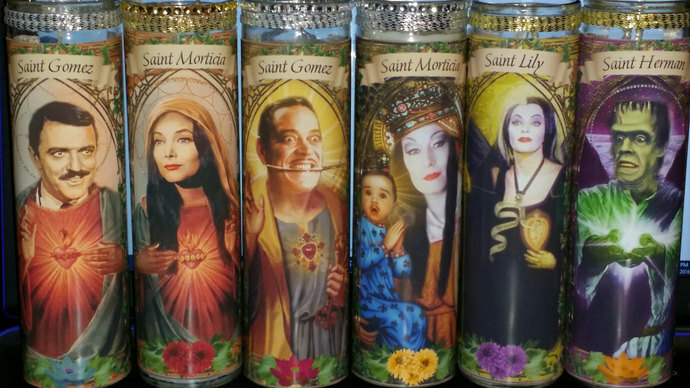 Also other nightly vamps like Morticia and Gomez in another listing, and both can be purchased as a set. Sets are discounted as well as discounted shipping. White, unscented wax. Also have the Munsters and the TV Addams Family!! !